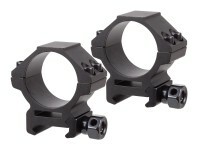 UTG 30mm Max Strength Rings, Low, Weaver/Picatinny, Twist-Lock Base. 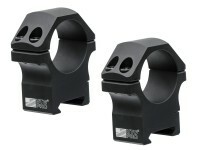 30mm rings. 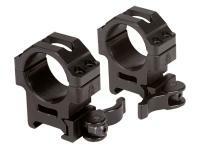 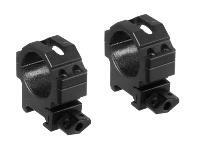 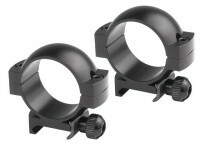 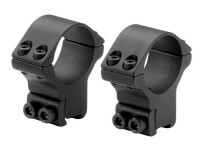 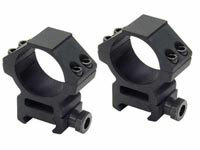 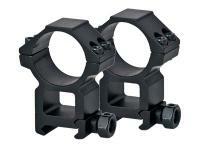 These UTG rings make it easier to quickly mount and dismount your optical devices on different guns. 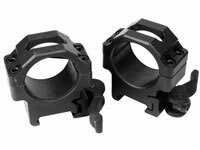 Instead of working with several hex screws on each ring base, you just have to hand-tighten one twist-lock base screw on each ring and you're good to go. 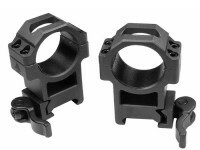 Also, the weight has been reduced by channeling out the center of each cap. 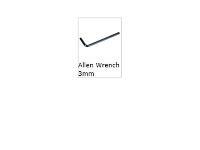 Use on any air gun, airsoft gun or firearm that has a Weaver or Picatinny rail. 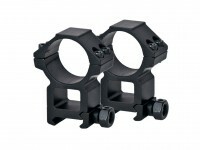 The cross-slots help stabilize the rings so your scope or dot sight is rock-solid. 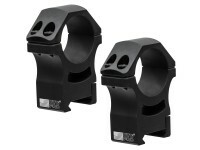 What is the difference in height between low and high rings? 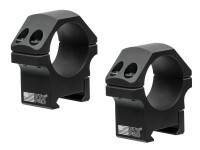 Low rings are 1/2 of an inch , high rings are 1 inch.